Researchers from the University of Granada in Spain, have proven that frying in Extra Virgin Olive Oil is the cooking method that increases the phenolic fraction, a health-boosting factor present in raw vegetables. This cooking method is a key component of the Mediterranean diet. The veggies that benefit the most from being prepared with olive oil are potatoes, pumpkin, tomatoes, and eggplant. In an article published published in Food Chemistry magazine in January 2016, the researchers showed that vegetables fried in Extra Virgin Olive Oil improved their antioxidant capacity as well as the amount of phenolic compounds, which prevent chronic degenerative pathologies such as cancer, diabetes, and macular degeneration. A release from the university notes that the aim of this research was to determine the effect of various cooking methods on the antioxidant capacity and the amount of phenolic compounds (total and individual concentrations) present in vegetables consumed in the Mediterranean diet. The Mediterranean diet of the Spanish population is characterized by a high intake of vegetables and Extra Virgin Olive Oil. These are both an important source of dietary phenols, the consumption of which has been associated with the prevention of chronic degenerative pathologies. This kind of antioxidants can be modified during the processing of the foods, increasing or decreasing their concentrations. The vegetables were fried and sautéed in Extra Virgin Olive Oil, boiled in water, and boiled in a mix of water and Extra Virgin Olive Oil The experiments were controlled so the processing conditions were guaranteed. The ratio between vegetable and cooking element was constant, following traditional Spanish recipes. Processed vegetables were kept in the right conditions for the measurement of moisture, fat, dry matter, and total number of phenols, as well as the measurement of the antioxidant capacity, by various methods. Parallel to this, the research was completed with the determination of the content in individual phenolic compounds typical of each vegetable, using high-performance liquid chromatography (HPLC). 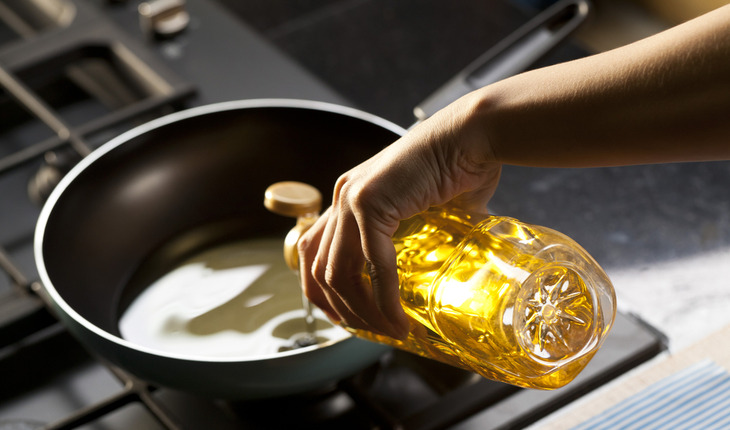 The results showed that using Extra Virgin Olive Oil for frying vegetables increases their fat content and reduces their moisture, while this is not observed in other cooking methods. The release quotes one of the authors of this paper, professor Cristina Samaniego Sánchez, as saying, “Comparing the content of phenols with that of raw vegetables we found increases and reductions alike, depending on the chosen method. Oil as a means of heat transfer increases the amount of phenolic compounds in vegetables, opposite to other cooking methods such as boiling, where heat transfer is done through the water”. This is due to a transfer of phenols from Extra Virgin Olive Oil to the vegetables, enhancing the latter with oil-exclusive phenolic compounds that are not naturally present in raw vegetables. “Therefore, we can confirm that frying is the method that produces the greatest associated increases in the phenolic fraction, which means an improvement in the cooking process although it increases the energy density by means of the absorbed oil”, says Samaniego. “When the phenolic content of the raw vegetable is high, the total content of phenols is increased even more if EVOO is used in the process, and boiling doesn’t affect the final concentration. Therefore, we must stress that frying and sautéing conserve and enhance the phenolic composition. Hydrothermal cooking methods can be recommended when the food is consumed together with the cooking water, as the addition of EVOO improves the phenolic profile and compensates for the deficiencies of the raw food”, the researcher stresses.